or tripled. This scenario does not need to happen to you as an agent. Using a knowledgeable, specialized wholesaler will help you avoid this worst- case scenario altogether. You will be able to proactively educate your client securing the relationship and renewal for years to come. Below, you will find five tips on how to be proactive v. reactive when it comes to UST risk management. Carriers will react in a variety of ways when underground storage tanks approach 30-years-old. They will either non-renew, will not consider/decline, will not match retroactive dates, significantly increase premium or significantly increase the deductible/self-insured retention. Why does the private insurance marketplace react this way? That is because the state’s design it this way for everyone’s benefit including all neighboring stakeholders. Replacing the tanks before 30 years of age is in everyone’s best interest to prevent a release (unfortunately, everyone besides the insured’s bank account). Why do Businesses Self-Insure Their Pollution Liability? It’s Irresponsible. Why do Businesses Self-Insure Their Pollution Liability? Businesses purchase insurance so that they can afford to compensate others for the harm they accidentally cause while in the pursuit of their enterprise. Insuring against injury is good business and is also good corporate citizenship. Commercial enterprises have a social responsibility to fund the correction of their mishaps. They certainly have legal responsibility to do so, but in today’s social media environment, goodwill and reputation are threatened almost instantaneously by publicized acts of social irresponsibility. It’s good business to do right. It’s also good business to be able to afford to do right. 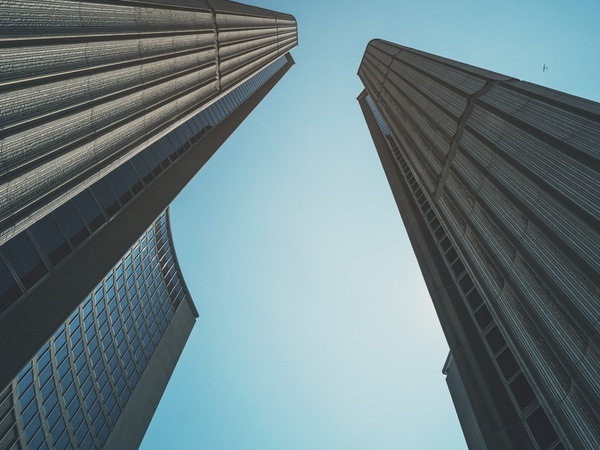 Business relationships predominantly dictate what liability is insured and for how much – so much so that businesses focus on the insurance they are required to have and lose sight of the remaining exposures they may not have insured. 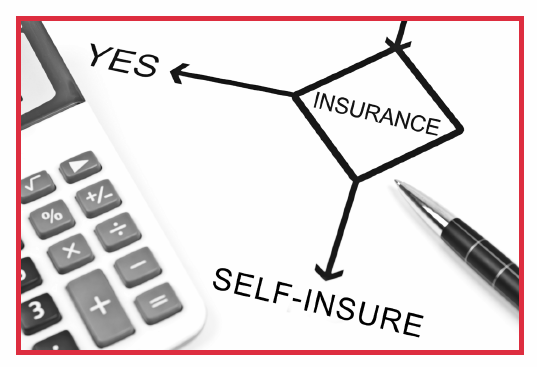 If a customer didn’t ask for a certificate of insurance for it, it is often uninsured. Unless a business is a waste facility or environmental services firm, their customers rarely ask for evidence of pollution insurance. That doesn’t mean that a company doesn’t have the exposure. We know the obvious examples (e.g. the refinery oil spill, the chemical manufacturer air release and the waste treatment facility sewerage release, etc. ), but decades of cases argued over “what is a pollutant” have documented hundreds of scenarios of uninsured pollution losses for more innocuous events. Although some courts rule that the pollution exclusion applies only to “traditional pollutants” to which environmental laws apply, many allow a broader interpretation of what is a “pollutant”. 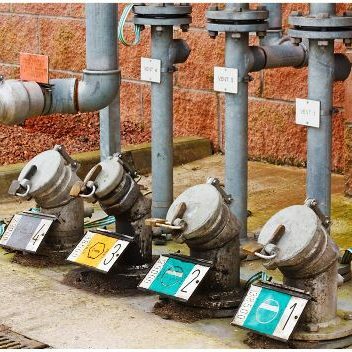 …These are just a few examples of hundreds of cases where the “pollutant” arose from everyday accidents that we do not normally associate with traditional pollution releases. While we can debate ad-nauseum whether the absolute pollution exclusion is abused, we must note that there is a likelihood that insurers will apply it and businesses will spend time and money to litigate it. In every business transaction, buyers want to be assured of what they are buying. 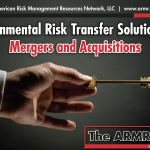 In the context of mergers and acquisitions, environmental liability is an elusive issue to evaluate and quantify. The strict, joint, several and retroactive nature of environmental liability for releases of hazardous substances creates uncertainty because it attaches not only to current but also past operations of a business. Environmental due diligence, although pervasively performed is notoriously inaccurate. Most environmental due diligence studies performed by technical experts are too focused on known issues and pay just cursory attention to potential issues. These studies often fail to evaluate current operational and product-based environmental risks. Undefined and unmanaged environmental risk makes it difficult to successfully purchase or sell an enterprise. Defining what potential financial loss environmental liability poses is essential to properly value and structure a transaction. 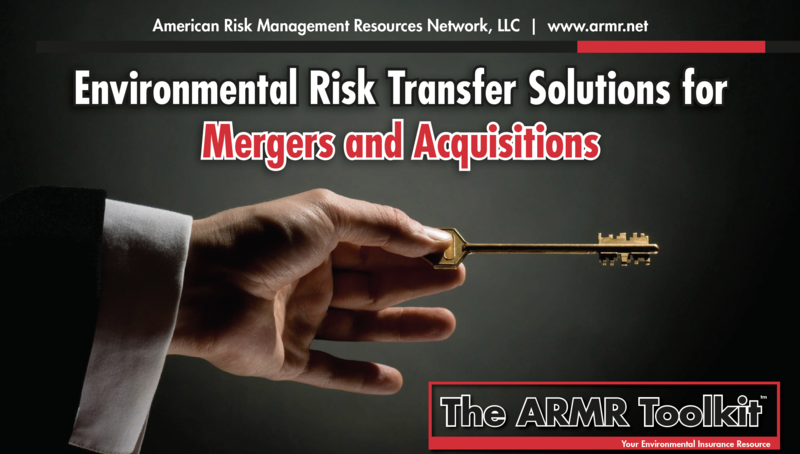 American Risk Management Resources, LLC (ARMR) is an expert at environmental risk identification, evaluation, and treatment. We assist in defining environmental risk to aid in the successful transfer of equity and assets. 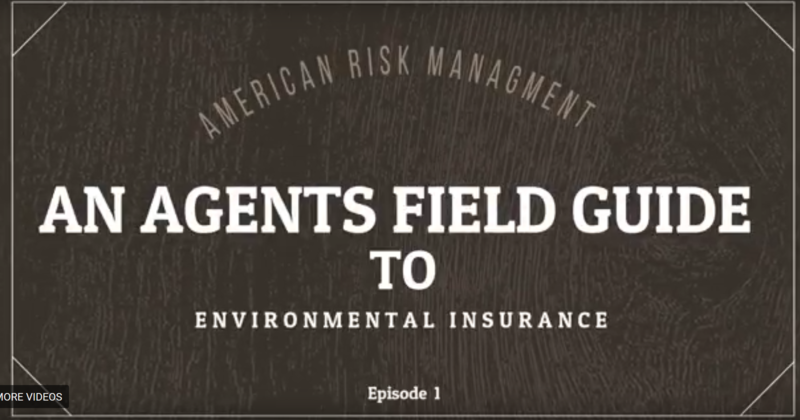 The first vlog episode of our new series: An Agent’s Field Guide to Environmental Insurance. We talk traps & tools in the env insurance market space along with the scary job-site pollution coverage endorsement. Do not trust em! As contracting season continues more and more clients need to prove they carry pollution insurance for contracts and new job bids. Have you lost the load as your client’s insurance adviser? Don’t be an insurance zombie and let theses endorsements fool you or your clients for the sake of saving a dollar. The General Liability coverage extensions for job site pollution insurance do not meet most contract requirements. At their core, these endorsements provide time element exceptions to a total pollution exclusion endorsement in the general liability insurance policy commonly sold to contractors. 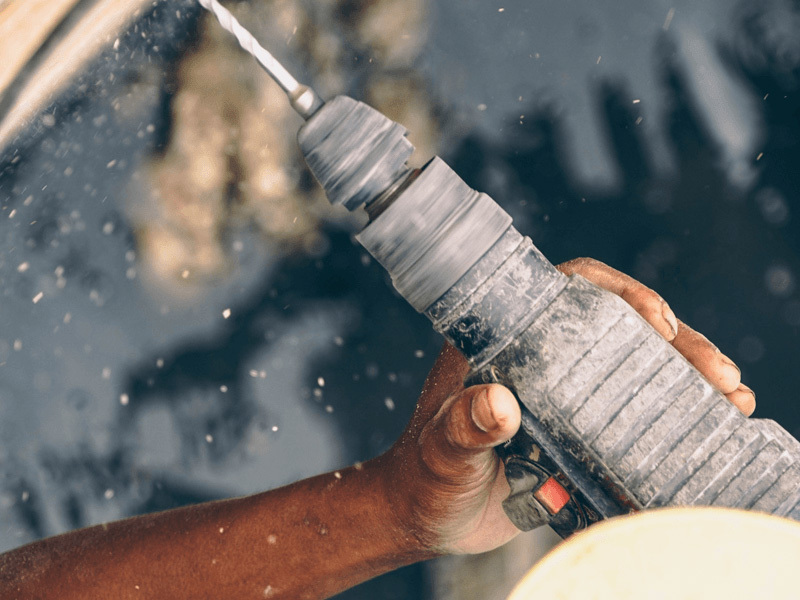 Although these coverage extensions vary, it is common for the coverage extensions to specifically exclude losses arising from asbestos, mold, lead, and Silica dusts to name a few contaminants. They usually do not apply to completed operations either, which is a common contractual requirement of pollution coverage. A general liability policy with this endorsement is not contractors’ environmental impairment liability insurance or contractors’ pollution liability insurance due of the absence of insuring agreements for environmental losses in a general liability insurance policy. 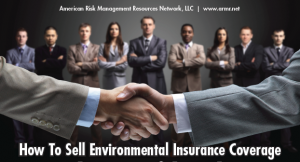 Environmental insurance is not just for hazardous waste contractors! 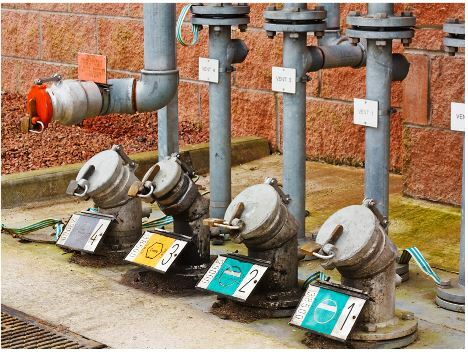 exposures is via a well designed contractor’s pollution liability policy (CPL). The original design team who invented CPL insurance to deal with the mold exclusions of the 80’s, work at ARMR. Network, LLC today. As a result we know a lot about the product line. By not addressing these exposures and offering coverage, you leave both your agency’s E&O and your insured at risk. ARMR.Network, LLC makes protecting the insured and your agency easy. do not compare in scope of coverage to a properly designed contractors pollution liability policy. After a loss occurs it is too late to determine whether a CPL would have better protected your insured. It is often thought that only contractors involved in environmental or pollution cleanup need CPL coverage. However, trade contractors have the following gaps in coverage caused by exclusions found in their CGL policies. & Why You Should Keep It! Environmental Impairment Liability: Why You Need It and Why you Should Keep It! 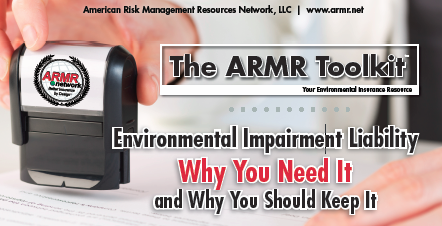 The best way to understand the importance of keeping Environmental Impairment Liability (EIL) or Site Pollution coverage in place is to revisit the reason for originally purchasing the coverage. Companies and organizations buy EIL coverage because they hold some kind of environmental risk or exposure due to operations and/or Environmental Laws. Some examples of this would be, chemical companies handle substances that can poison an entire drinking water supply for hundreds of thousands of people. Byproducts from a manufacturing facility’s operations can lead to serious natural resource damage. The chemical used in dry-cleaning solution has been linked to dangerous health effects from long-term exposure. 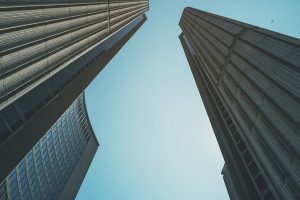 The liability associated with these risks tends to be more than most companies are able to or willing to self-insure and look to transfer the risk. A way to do this is to purchase insurance. In the case of environmental liability, folks purchase EIL coverage. What’s important to understand, is what drives or creates this environmental liability for companies and organizations. What makes a company or organization responsible for the natural resource damage they cause or the bodily injury that results from their actions? The answer is a mix of statutory regulation and Common Law. Negligence, nuisance, and trespass form the Common Law portion of environmental liability and provide the basis for civil suits. Environmental protection laws create liability for cleanup costs and damages to natural resources. Through a convergence of risk factors, more commercial borrowers are exposed to uninsured environmental loss exposures than at any time in history. The emerging environmental risks discussed below are affecting main street business, public entities and farms for the first time. Bankers as a result of the Environmental Risk Mega Trends detailed below are unsecured with insurance in their credit positions on many more small business borrowers than they have been in the past. The good news is the genuine environmental insurance products needed to address these emerging mega trend risks are readily available in the insurance market place at affordable prices; and have been for many years. The most significant constraint preventing the wide spread use of environmental insurance is in the insurance distribution system. Insurance agents and brokers receive no training on environmental risks and insurance topics. 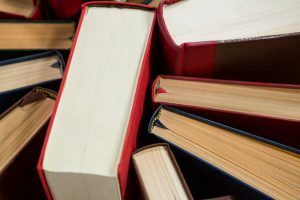 Therefore, the vast majority of insurance agents and brokers are not educationally equipped to competently advise their customers on these relatively complex insurance topics. The result is lenders and their borrowers alike have a lot of uninsured environmental risks that almost all parties are completely are unaware of. Implement credit policies to avoid uninsured credit positions on loans. This is easier said than done however.